Paleontologists have long been aware of the hereditary relationships between species and realized that categorizing them into neat little compartments was inadequate for their purposes. They discarded the Linnaean system and replaced it with phylogenetic systematics, also known as cladistics. This new system organizes species and groups in relationship to one another, based on the development of physical characteristics. 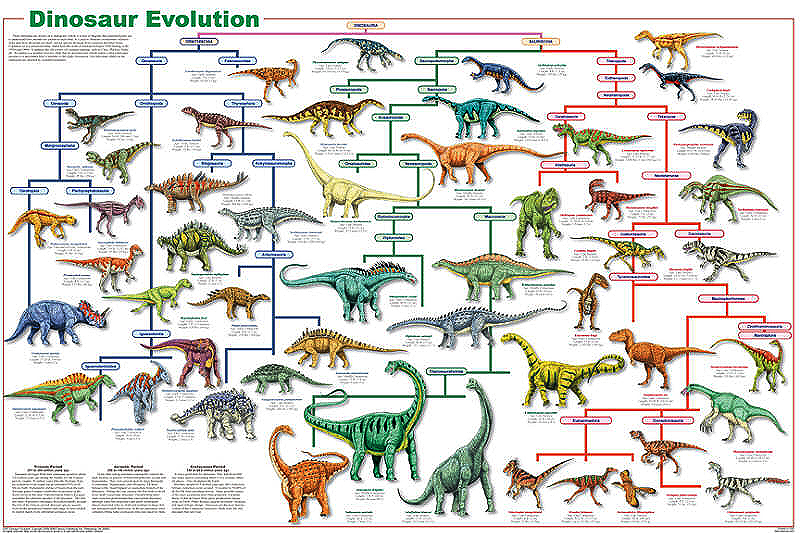 This poster represents the first time that this new system was ever used to create a pictorial cladogram showing how dinosaurs evolved over millions of years. This second edition features a more streamlined cladogram, making it easier to use.